The aims of this research are first to verify the actual difference in color perception between conditions in Earth’s (1×g) and parabolic flight’s microgravitational conditions (μg) and to improve the methodology used for data collection, testing the CROMOS software for color sensitivity investigation. Additionally this paper seeks to establish a larger awareness of microgravity vision and its design implications in the field of aerospace engineering. 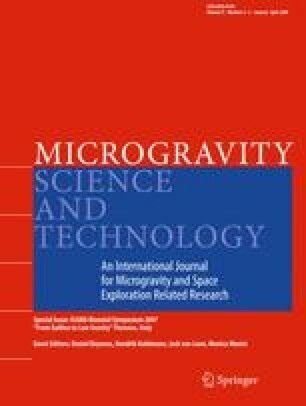 The analysis of variations in color perception between microgravity and 1×g can be applied to a range of fields concerning the space habitat (Fig. 1), the design of information (such as safety notices), or in the space station the analysis of chemical and biological reactions based on chromatography (for example, when subtle color variations are used as indicators in histological cell analysis). Forward: In September 2006, during the “ESA 9th Student Parabolic Flight Campaign” the CROMOS experiment collected new data to analyze possible differences between color perception in microgravity and normal gravity conditions. The student group received an award from Elgra in September 2007.